I’m sure that every now and then, it has happened to all of us to look at our past with a certain nostalgia. Past is always warm, reassuring, bright, peopled by those we loved and cared about us, but that we have inevitably lost in the course of our life, so, if you had the chance to go back in time, which period of your life would you like to live again? How far would you go back? Well, I have no doubts. I would go back , let’s say, to five. It sounds childish, I know, but what I do really miss is that lightness of spirit, that gaiety, those eyes of wonder typical of childhood that transform triviality into beauty. 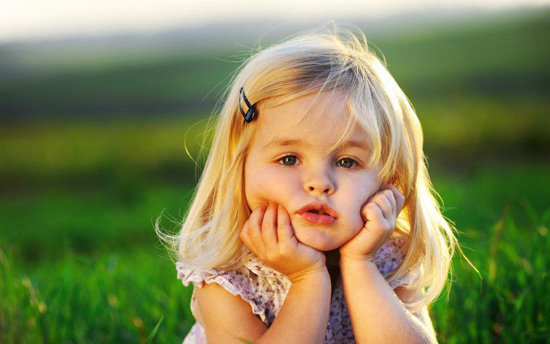 Children are confident about their present and future, as they can see no evil in the world that surrounds them. I still remember, when my mother used to give me the usual warning: “don’t accept candies from strangers!”. After all children focus their attention on candies, rather that pondering on the reason why a complete stranger should give them candies. Adults ponder, children want their drives satisfied. As long as you can enjoy this happy condition, you are in what Blake called the age of ” Innocence”, which is opposite to “Experience”. It has nothing to do with ageing, or at least not only, but it is a transient state of human soul. As time goes by, the candor of innocence is slowly polluted by experience, that is knowledge, hence we start to open our eyes and we see a new reality. We start to understand, just like in story of “Little Red Riding Hood“, that under the cover of the good hunter there might be a nasty wolf hidden. At this point the world doesn’t seem so safe and welcoming as it used to be and those happy times look like an enchanted garden of heaven we are no longer admitted in. Once definitely outside, we cannot but look at it with nostalgic eyes, like Adam and Eve after eating the fruit from the tree of knowledge. Once you have eaten it, you cannot go back. 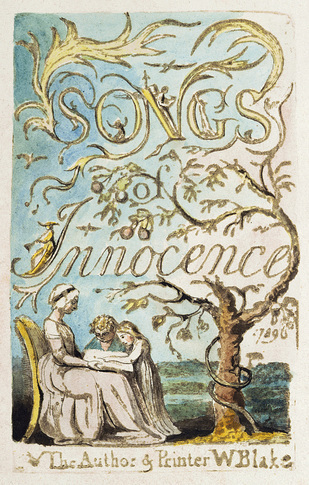 In order to mark this passage, Blake rewrote some poems belonging to his early collection “Songs of Innocence” and included them in the “Songs of Experience“, which was published five years later, thus giving them a different shape and perspective.The poem “The Chimney Sweeper“, for example, deals with the theme of children exploitation. In this poem there is all the disarming beauty of children’s naivety, who keep on being confident in a better future, despite the appalling condition of their lives. A child says he had lost his mother and that his father had “sold” him when he was so young that he “could scarcely cry ‘weep! ‘weep! ‘weep! 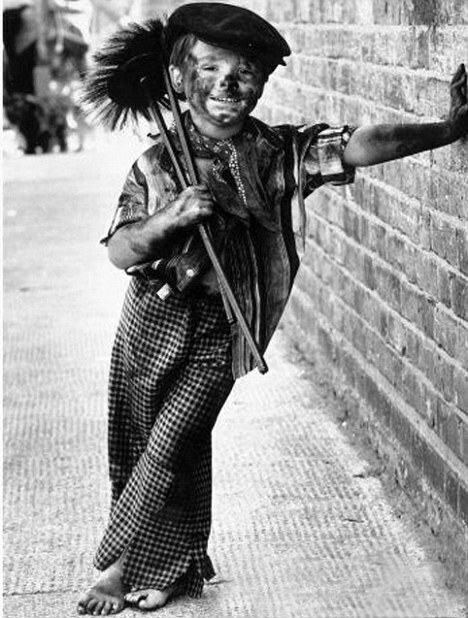 ‘weep!”, therefore at such a tender age he was forced to work and slept “in soot“. But children still retain the faculty of dreaming and furthermore believing in what they dream, even if there the shadow of a wolf is always hidden somewhere. The dream is the Freudian metaphor of their imprisoned youth, which is locked in “coffins of black“, which stand for the chimneys they are forced to sweep every day. In that dream an angel comes by and opens all the coffins setting them all free and restoring them to the lightness of thoughtfulness of youth, in fact, once out of those horrible coffins “down a green plain leaping, laughing, they run”. What did my mother say? “Never accept candies from a stranger!”, particularly if he comes in a shape of an angel, I would add. 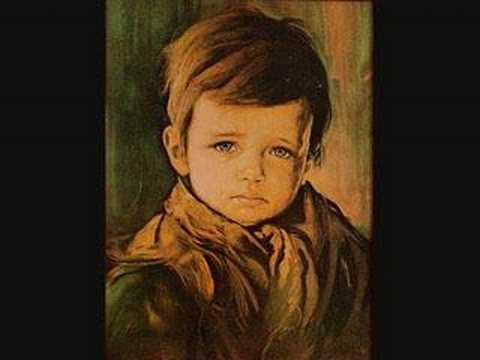 In fact, then the angel speaks and imparts the child the following lesson: ” if he’d be a good boy, he’d have God for his father, and never want joy.” Afterwards the little child, whose name is Tom, wakes up and goes to work “happy and warm” , “though the morning was cold”. Why should Tom be happy and warm in such a dark and cold morning? Because he trusts the angel and he believes in the words the had said: he would have God as father and happiness, if he did his duty, and what is his duty? Working, here is the candy. Therefore, he is just doing the right thing.” He sees no evil in his condition. 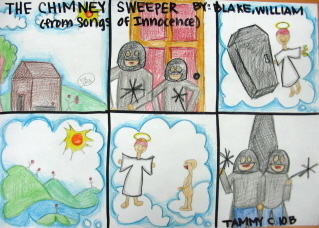 The situation completely changes in the poem Chimney Sweeper which appears in the “Songs of Experience“. In this poem there is all the loneliness and hopelessness of a child who is fully aware of the system which enslaves him. He has perfectly understood that the whole society, the church and even his family are part of a scheme whose main concern is the making of profit and constantly ignores his needs. The boy bitterly says : “and because I am happy and dance and sing, they think they have done me no injury”, but they have. They have stolen his youth, happiness and faith in the world and in the future. They have taught him to sing “the notes of woe” and this is irreversible. The boy had bitten the forbidden fruit, the fruit from the tree of knowledge and he had been poisoned, becoming adult too soon. Simplicity is very often the best way to express the complexity of a state of the soul and William Blake, somehow, was a master of simplicity. Innocence and Experience are the two simple, effective words, that better portrayed for him the two opposite states of human soul. The age of Innocence is that phase when you are a child and you see the world that surrounds you with the curious eyes of wonder and imagination. In that stage the soul is highly receptive and absorbs every external input, hence life seems a joyous, frantic carousel of emotions. Unfortunately “Innocence” is a transient state and as time goes by, we drift towards Experience, that is, the age when our eyes, now opened wide, are no longer dimmed by the enchanting powers of Imagination. The more we become aware and overwhelmed by loads of responsibilities, the more we grow pessimistic and distrustful towards our future. We should try not to lose sight of that little child , that “fanciullino” , as the Italian poet Giovanni Pascoli called him, we used to be and retain a little room for him in our soul, but how? How can we fight the deteriorating effects of time over him? Education was a possible answer or better a sentimental education. Many philosophers of the eighteenth century started to focus their attention on childhood, being that period of life when are we so responsive. 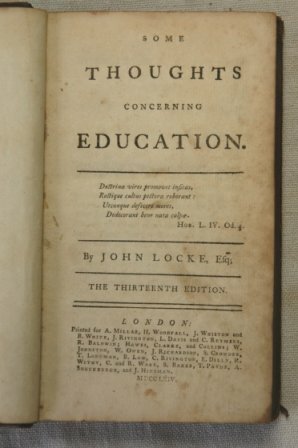 John Locke warned that “the little and almost insensible impressions on our tender infancies have very important and lasting consequences “, therefore education should work on those impressions to “open and dispose their (children) minds as may best make them capable of any, when they shall apply themselves to it.” Furthermore, he maintained that the “associations of ideas” that one makes when young are more important than those made later, because they are the very foundation of the self. 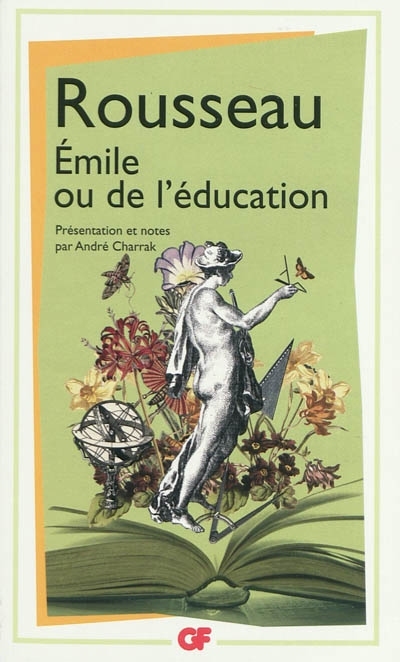 Jean Jacque Rousseau wrote in his book Emile that all children are perfectly designed organisms, ready to learn from their surroundings so as to grow into virtuous adults. The instinctive goodness of a child is spoiled by society that for the French philosopher was malign and corrupted.That’s why he also advocated an educational method which consisted in removing the child from society, for example, to a country home, thus enabling him to live more in close contact with nature, which he regarded the only source of pure, uncontaminated values and emotions. He also maintained that child should grow up without any adult interference and that the child should be guided to suffer from the experience of the natural consequences of his own acts or behaviour. When he experiences the consequences of his own acts, he advises himself. A teacher, therefore, shouldn’t but encourage the natural curiosity of a child and guide him to experience the sensorial world, only once this world has been molded – at about the age of 12 – the tutor is allowed to work to develop his mind.The associationist philosopher David Hartley focused his attention on childhood as well and he assumed that also “our moral character develops in that phase as a result of the pleasure and pains caused by physical experiences“. Therefore if a child is well guided to experience the world and learn from the emotions he receives, he will be able to grow a more rounded mad with firmer ethics and more inclined to find joy and positivity in life. 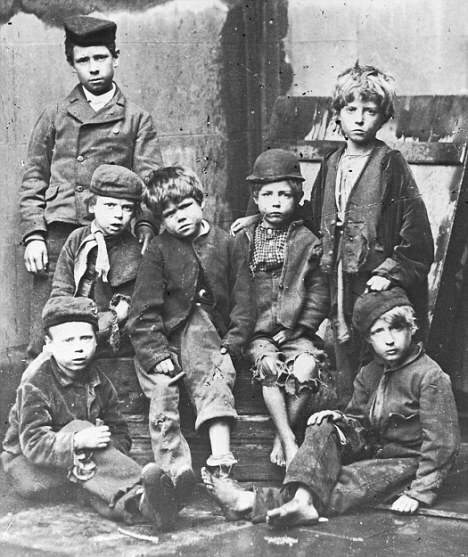 That was almost three centuries ago and I have to say, all this interest in childhood was just philosophy, as the majority of children left school at six and were regularly exploited at work. Nowadays children live a more pampered life, at least in the western world, therefore there should be a more fertile ground to impart the lesson of those philosophers, but how do we educate our children? Are we really paying the due attention to make them develop their sensorial, emotional world, considering that all this should frame their moral character once they become adults? What is the meaning of our life? Are we here by chance or are we the product of some unintelligible scheme? If so, why? Are we ever going to have an answer? Maybe one day science will be able to provide us with all the responses we need, but in the meantime we still instinctively rely on that religious vision of men created by a god like being, who for some reasons must have started all this. If we totally get rid of this paradigm and accept our presence in the universe as the mere result of chance, alone in the universe, our life would appear somehow nonsensical. If there is a creator, let’s hope he had good reasons. Victor Frankenstein, as modern Prometheus, believed he had good reasons for sure, but the result of his arrogant defy to the laws of nature had produced a horrible, hideous creature that he had cruelly sentenced to eternal misery and loneliness. The monster is, in fact, rejected twice: both by human beings, thus becoming a social outcast, and by his own creator, who despises him not only for his ugliness, but also because he is the reminder on earth of his mortal limits. Victor declines the moral implication of his act towards his creation, who will strenuously try to nail him to his responsibilities of maker till the end, when he eventually kills him. The monster is the unfortunate expression of an imperfect creator. But the perfect, ” fearful symmetry” of Blake‘s “Tiger” , from the homonymous poem, tells us of the vigor and superiority of this creator, who forged the frightening beast. Prometheus or the Greek God Hephaestus, who could be the hand that “seized the fire”? And once again, why? If the Tiger stands for fear, destructive power, evil, why did this God make it? To make us suffer? 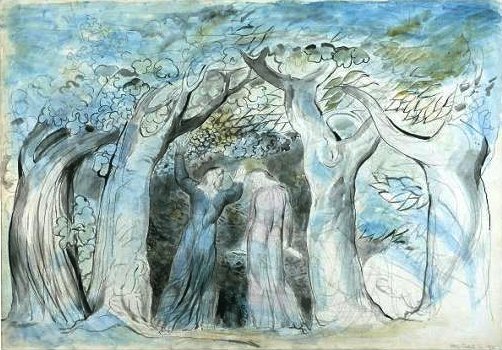 These thoughts pervade Blake’s mind, in a crucial moment of his life, that is when you find yourself in “the forest of the night” : the age of doubt or, to use Blake’s words, the age of experience. Blake borrowed that image from Dante‘s first Canto of Inferno, a poet that he knew well as he had illustrated the Divine Comedy, when the artist says that in the middle of the path of his life, he found himself in a “selva oscura“, the dark forest of uncertainty and doubt. This state of psychological frailty is pointed out by the numerous unanswered questions that make the structure of Bake’s poem and the last one, in particular, displays all the poet’s bewilderment: how can it be that the same God who created the meek, loving Lamb (good), forged the fearful tiger (evil) as well? All his sense of uneasiness is in the missing rhyme of the refrain, that “symmetry” that can’t fit in the rhyming scheme of the stanza, stands for the poet’s doubt who feels unfit to understand the divine scheme of creation, he is part of something without knowing why. Progress can’t be stopped. The fast growing transformations in England couldn’t be stopped. It was the country of the “dark satanic mills” where the social solitude of Blake‘s chimney sweepers and exploited women emerged. 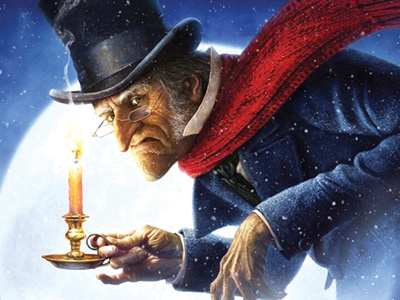 It was Dickens‘s smoky and polluted land where litte Oliver, David or Nicholas struggled to find their dignity in that insensitive world where the dominant creed was that of Scrooge before becoming all generosity and kindness. The bourgeous society was too blinded by the new range of opportunities so that success,social status, money making became the top values of that age everywhere. It is clear that the role of that artist willing to change the world in the pervading materialism had to be re-defined. What was the point of keeping on with the effort of educating to sensibility an ignorant, indifferent, arrogant audience? What for? To end up like Wilde‘s nightingale? To die for nothing? So modern artists decided to turn their backs to their public and ceased any attempt of didactic or moralizing effort. They accepted the course of events. Some of them decided to describe accurately the evil mechanisms of the bourgeous society with cold scientific detatchment just like Gustave Flaubert and Emile Zola in France or with a certain sentimentalism with Charles Dickens. Some others openly rejected the vulgarity of the contemporary world and refused to conform finding a safe shelter in that exclusive place where taste and beauty ruled and art was for art’s sake that is, using Wilde’s own words, “quite useless”. It was the bitter defeat of the Romantic ideals.